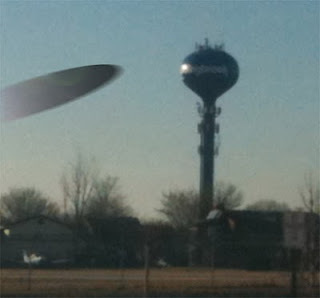 Bolingbrook’s Clow UFO base could be shutdown for the first time in nearly 60 years unless Congress approves the black ops budget. If US government doesn’t approve a budget by next week, The New World Order will “audit” the US Government. No government has ever been fully audited before, but a partial audit of France in 1968 almost brought down the government. Republicans on the House Subcommittee on Capitol Maintenance are demanding the following riders be added to the budget. Ban abortion and punish doctors who performed abortions up to 10 years before enactment of the budget. President Barack Obama, sources say, is reluctant to agree to the terms so soon after “giving in” to the Republican’s terms to raise the debt ceiling. Bolingbrook Mayor Roger Claar, is angry at the slow progress of negotiations. Claar says he wants a deal as soon as possible to avoid “clouds of uncertainty” throughout the galaxy. He also added that he wasn’t afraid to employ his own version of “disaster diplomacy” to create a solution. Despite his anger, Claar is optimistic that there will be a solution to the crisis. When asked for a comment, a White House intern laughed, and apparently pulled out a piece of paper.